Sharp has just launched two tablets in the aggressive tablet market. 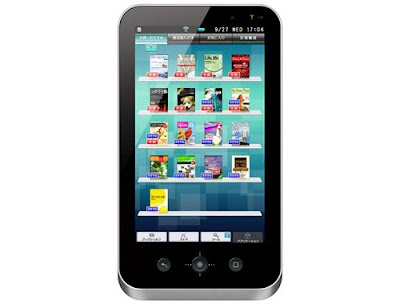 The tablet is known as ‘’Galapagos’’ but Sharp plans to market them as e-readers relatively than tablets. They were launched in December 2010 and they are set to hit the market in India and other parts of the world as soon as possible. The company also plans to launch its own new online content service to accompany the devices. The Sharp Galapagos price is $485 for the 5.5 inch version and $668 for the 10.8 inch version. The Sharp Galapagos is available in two versions, the mobile type has LCD screen of 5.5 inch that reads resembling a paperback book. This model has a home type of 10.8m inch high-resolution High Definition LCD that enables users to get pleasure from magazines formatted by a two-page spread. They have Wi-Fi but not 3G. The tablets are mainly based on a sharp e-book format which is called as XMDF (ever-extending document Format for Mobile). This can support entrenched video and enables the size and shape of text which you need to change. The process of changing the size can be done easily without affecting the format of the page. The tablets resemble an I-Pad but use the aspect ratio of 16:9 in the screen instead of the I-Pad style 4:3. They run the Android 2.2 Operating System and have color displays, social networking capabilities, and web browsing. 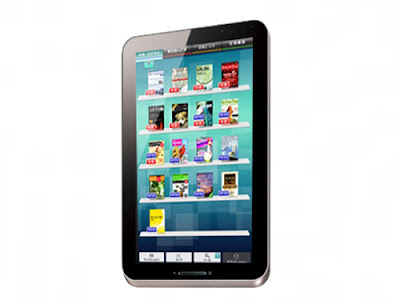 The users cannot download and install software of choice; they can only use Sharp’s e-book reader software. Sharp plans to expand Sharp Galapagos beyond books to include music, movies, and games just like Apple’s iTunes works from this year. The name of the tablet is derived from the Sharp Galapagos Islands and was preferred as the name meant for Sharp’s cloud-based media service as a symbol of the ‘’evolution’’ of services and devices that bring latest, superb experiences to all of its users. The company plans to make a foray outside Japan in the future but have not released a date yet when that will happen. However, its modest features such as its slow operating system, no access to well known giants such as Barnes and Noble or Amazon and the pricing are predicted to isolate it in the open market and affect its sales performance. But the company has said the version to be launched in the US market and later India, China and Brazil will be greatly modified to exceed or match the competitions devices with external storage, two cameras, front and back, downloading capacity among other features.